One of the UK's most respected home care franchises, Caremark provides professional, personalised home care services to the elderly and those in need of respite or live in care. three profiles were found for Caremark.co.uk in social networks. Among other social networks the website is represented in Facebook, Twitter and LinkedIn. 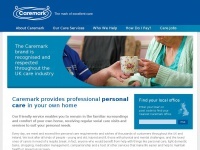 The web server used by Caremark.co.uk is run by UKfastnet Ltd and located in Great Britain. 12 other websites are located on this web server. Most of them are provided in the english language. The websites of Caremark.co.uk are served by a Apache server. The HTML pages were created with the latest standard HTML 5. Due to the robot information on the webpage, the following actions by webcrawlers are not allowed: archiving the website. All other actions by webcrawlers are allowed.